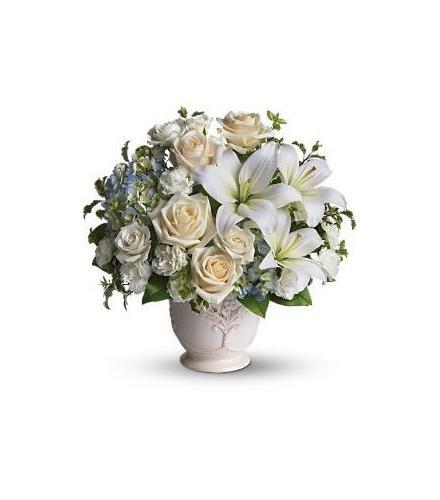 Open white lilies and blue hydrangea may not be available in all locations. 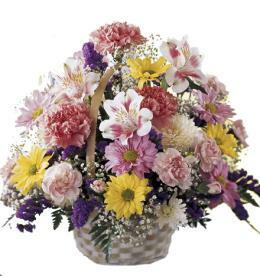 Tasteful flowers such as light blue hydrangea, crème roses, white asiatic lilies, miniature carnations and more are delivered in a lovely white French Country Pot.. White Flowers Beautiful Dreams. 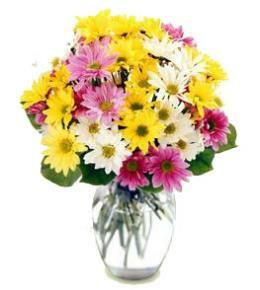 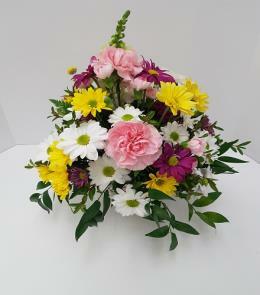 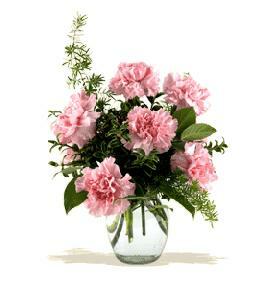 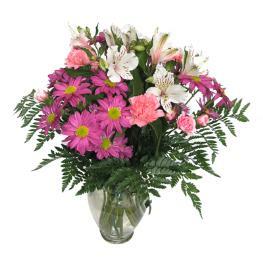 Arrangement Details: Can be created as a one sided design or as a centerpiece. 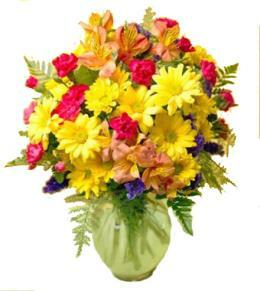 Please request your preference.